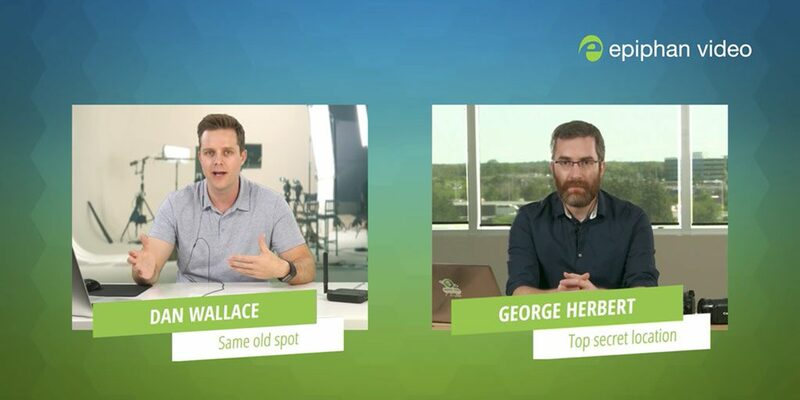 When getting into live video production, sooner or later, the question of comparing video streaming hardware and software inevitably comes up. At first glance, the topic may seem intimidating and confusing, but don’t worry: we are here to help. What are the differences between video streaming hardware and software? Which one is better? Which one should I pick? Let’s dive right into the answers to these questions. It’s important to understand the main implied distinction when talking about video streaming hardware and software setups. In the context of this article, by video streaming software we mean an application that is installed and runs on a computer. This software’s main function is to intake the audio/video content and convert it into streamable data. This process is called encoding (this is why streaming software are also known as “software encoders”). Streaming hardware (a.k.a. “hardware encoders”) on the other hand are separate, dedicated appliances that handle all the encoding. These devices contain their own special software, computing units and video capture components inside. Hardware streaming appliances are dedicated solely to encoding audio and video data into streamable content. As we mentioned, video streaming software implies running a program on your computer to stream video. A software-based live streaming setup consists of the streaming application installed on a computer, the audio and video sources, and some capture cards to capture the signals. There is a wide variety of live streaming software available. Some of it is free, some is paid, some can do and handle a lot, and some is more basic. Ability to create special effects such as transitions, overlays, lower thirds, scoreboards, etc. Check out these amazing live graphic overlays by a company called SMT. Great example of what the most sophisticated software (+ data analysis) can do. The beauty of streaming software is in the high customization capabilities, in terms of both quality and content. Advanced streaming software is capable of streaming great, smooth, visually-enhanced, high-quality picture. However, the output quality of streaming software is largely limited by the hardware (in this case, computer) it is running on. The higher the quality and the more enhanced a live stream you want to produce – the more computing power it will take. This means that to successfully stream a smooth high-resolution stream, you will need a computer with a powerful processor and a top-notch graphics card. Essentially what we mean is that while your streaming software may be theoretically capable of pushing out 4K @ 60 fps and 50 Mbps, your computer may not be able to keep up. Putting so much strain on weaker computer will a) noticeably slow down the computer and may even cause it to crash, and b) will cause issues such as frame loss/stuttering and buffering on the viewer side. Video streaming software comes in a wide range of prices. Some software, like OBS, is free, while a professional-grade streaming software like vMix can cost up to $1,200 for the Pro version. That figure may seem quite high, but you may not need that much functionality, it really depends on your live streaming needs. If it’s something basic like streaming a show to YouTube and switching between two video inputs – you could probably get away with just using free software. 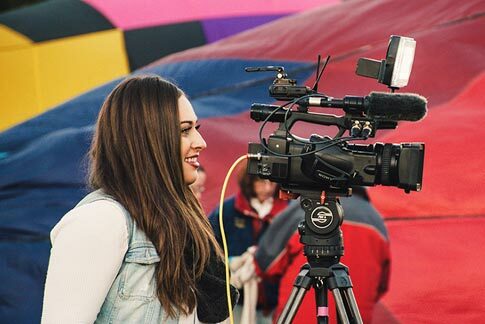 On the other hand, if you are launching a full-scale video production with multiple audio and video sources, titles, slick transitions, and 3 virtual guests – you will definitely need to invest in some top-tier streaming software. Decide which features you absolutely need and go from there. 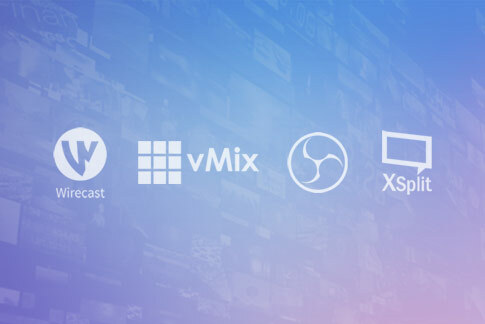 For a more in-depth comparison of streaming software, check out our best live streaming software in 2018 blog post. There are quite a few things to keep in mind when using streaming software. First off, with a software-based setup, you are relying heavily on your computer to not freeze, crash, update suddenly, or any of the other myriad issues that can arise, especially on Windows computers. Second, as mentioned earlier, to get a good result you need a powerful computer. For example, Wirecast’s recommended system requirements for a host computer are an i7 quad-core 2.8 GHz+ processor, 16GB+ RAM, with an Nvidia GeForce or AMD Radeon graphics card (with at least 1 GB video memory). That’s a $1,500 machine (at least) right there! Moreover, not every streaming software and operating system are compatible. For example, software like vMix, VIDBlaster, and XSplit are not compatible with Mac OS. Be sure to check for compatibility before investing in software. If using external video sources, such as a camera, the ability to get the audio and video into the computer is another thing to keep in mind. Computers don’t normally have the ability to capture any video signals (HDMI, SDI, etc) in which case you would need to invest in some additional video grabber cards. 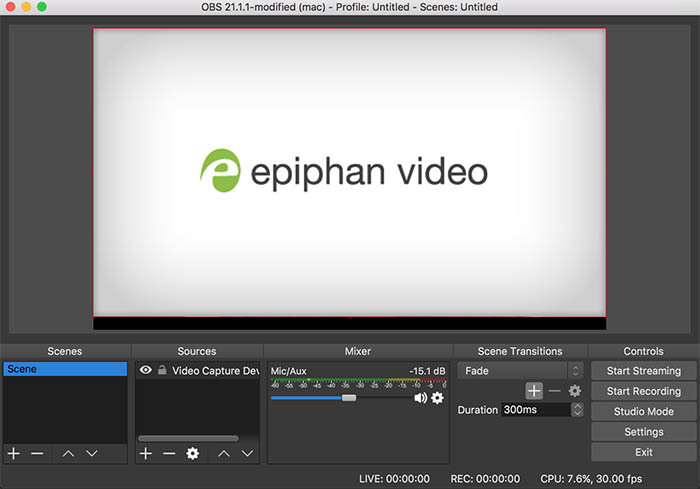 You can check out Epiphan’s line of video capture cards to learn more about them. A final note about the true price of a software setup: usually, it’s not just about purchasing the streaming application. It is also about investing in the computer and other parts, as well as making sure it all works smoothly together. Streaming hardware implies a dedicated appliance designed specifically for live streaming video. 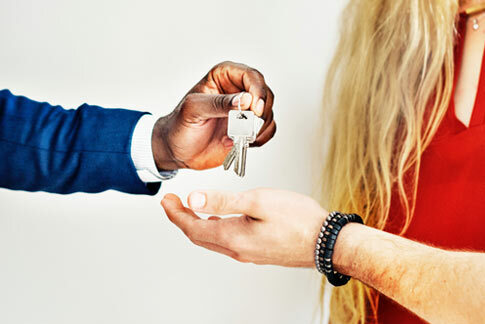 In a hardware setup, the video and audio sources are connected directly to the appliance where they are processed and encoded locally. Inside, streaming hardware contains its own CPU, video processing components, and special software to perform the same tasks as streaming software does on a computer. Since streaming hardware is basically streaming software confined to a box, hardware encoders can do pretty much everything software can (see Software Features list above). For example, Epiphan’s Pearl-2 web GUI allows you to create different layouts, switch between them, add titles, and much more. On top of that, we can talk about the added factors of reliability, versatility, and ease of use. Streaming hardware devices, such as Epiphan’s “all-in-one” Pearl-2 and Pearl Mini systems, come equipped with SDI, HDMI, and USB ports for capturing video. This means they don’t need any additional capture cards to function, making them more convenient in that sense. Hardware form factor can be modified in order to create the best fit for each individual use case: rackmounts, desktop appliances, mobile encoders are all widely used. Think of streaming hardware having a very narrow specialty. 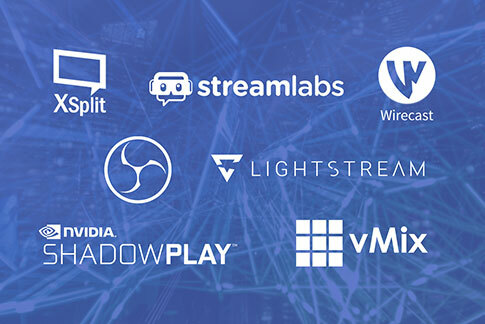 While software can run on a computer that can do many different things, streaming hardware was designed with one very specific goal in mind: to stream live video. All the components have been intentionally picked out and the software was customized and rigorously tested to ensure the best live streaming experience possible. Pearl-2 encoder allows us to create all kinds of great layouts for our Live @ Epiphan show. Check out the full episode on our channel, it’s a great visual example of what high-end video streaming hardware is able to do. Again, everything depends on the live streaming needs. 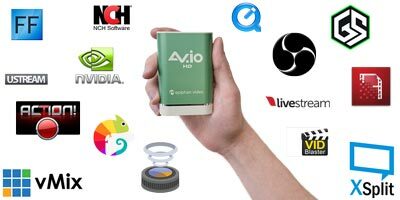 Prices for hardware encoders can vary from a few hundred to thousands of dollars, starting with a small one-camera input $300 encoder, that streams only to YouTube or Facebook Live, to $10,000+ professional grade all-in-one 4K video production studio, that is able to mix, record and encode a dozen video inputs and stream to multiple CDNs. Since live streaming hardware like Pearl is designed for exactly that, no additional frame grabber cards, switchers, or computing power is necessary. In fact, if set up properly in advance, encoders are able to start streaming all by themselves with a single push of a button. A computer or tablet may be used to set up and monitor the stream. All these devices need is power, a network (Ethernet or Wi-Fi connection), and correctly plugged-in AV input sources. Compatibility is a not an issue with hardware encoders as they run independently from computers and their operating systems. Hardware or software: which to choose? There really is no “one size fits all” solution when it comes to video streaming hardware vs software. As you probably understood by now from this article, the answer comes down largely to “it depends”. If you feel comfortable with tinkering with your computer and you like building systems from the ground up – then an open source streaming software like OBS may be the choice for you. Looking to create a very polished and professional live video look with lots of animated graphics and titles? Top tier software live vMix may be the way to go (be sure your computer is up to the task). With streaming software you get a lot of flexibility to set up the stream exactly the way you want it. For example if you are live streaming to Facebook Live or YouTube with one or two video sources, then a simple encoder like a Webcaster X2 will be perfect for you. Or, let’s say your university needs a reliable way to live stream and record lectures with two video sources and some basic titles. You should be looking for an all-in one production studio like the Pearl Mini. 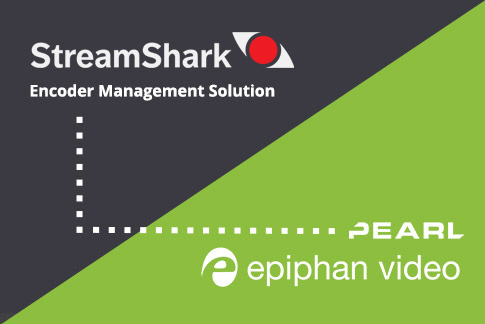 If you are looking to do an even bigger production, like your own live show, with multiple video inputs, titles, chromakey capabilities and streaming to multiple platforms, then consider an encoder like Epiphan’s Pearl-2. All of our Live @ Epiphan episodes are streamed using a Pearl-2, and we love it for its reliability and ease of use. With hardware you don’t have to worry about compatibility or your computer crashing because of a heavy live stream going out. Your computer’s CPU will be free for you to use for other things, such as monitoring your live stream or engaging with your viewers through chat. We hope we were able to help you understand the world of video streaming hardware and software a little better. When it comes to deciding which setup to go with, the truth is that it really depends on each individual case. Each way has its pros and each has its cons, but the bottom line is if you want to start live streaming, you should pick whichever way seems the easiest and will get you streaming the fastest. 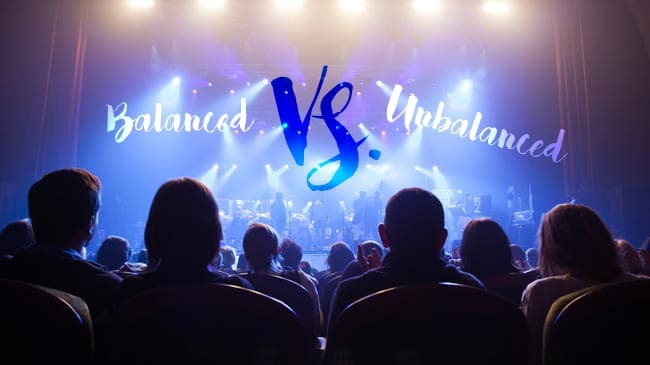 As you get more and more into it, you will get a better feel for your true live streaming needs are and, hopefully, find your own perfect balance between video streaming hardware and software.